Welcome to the Elite Certified Contractors blog! Visit this page for the latest news, advanced trends and most useful tips related to the home improvement industry. Whether you need advice on hiring the best contractor for your roof replacement or choosing the best flooring option for your home, let our blog section be your one-stop guide. After all, we are here to help our homeowners and property managers in and around Alexandria, VA, make more informed decisions about their home upgrades. We have over 30 years of combined experience in the construction industry. At Elite Certified Contractors LLC, we pride ourselves on the quality of work we provide, whether the project is flooring replacement or gutter installation. We are a Better Business Bureau®️ Accredited Business with an A+ rating. We are fully licensed and insured, with workers’ compensation and liability coverage for your protection. We employ insurance claims specialists to help guide you through the insurance and restoration process. We are certified by the country’s leading manufacturers, including GAF®️, TAMKO®️, CertainTeed®️, James Hardie®️, ProVia®️ and Simonton®️. We have over a decade of experience working on commercial properties. Our commercial construction division handles the design, renovation and upgrades of a wide range of business facilities. Siding Replacement. We offer high-quality vinyl siding options from Alside and CertainTeed. They’re cost-effective, versatile and reliable, providing a healthy return on investment. We also carry a premium alternative–fiber cement siding from James Hardie, offering exceptional protection against the elements while keeping maintenance requirements to a minimum. Roof Replacement. 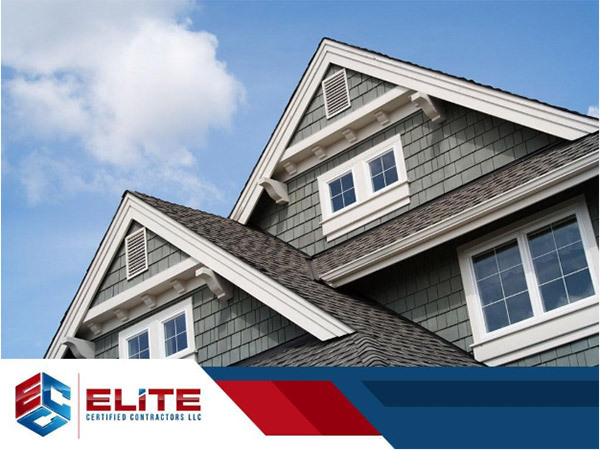 Elite Certified Contractors LLC isn’t just your expert in siding replacement–we can also handle all your roofing needs. As a GAF Master Elite®️ roofer, we offer some of the highest-quality asphalt shingle roofing systems available today. Aside from long-lasting weather performance and good looks, our GAF roofing comes with extensive lifetime warranties covering both materials and installation. Window Installation. Ensure better comfort and efficiency in your home, while increasing curb appeal by turning to us for your window installation. Our superior choices from Simonton and Alside can make this possible. At Elite Certified Contractors LLC, we aim to help you get the most out of your upgrade. Pave the way toward a more beautiful and functional home by turning to Elite Certified Contractors LLC. We serve the areas in and around Alexandria, VA. Call us today at (703) 424-8826 or fill out this convenient online form to schedule your estimate.